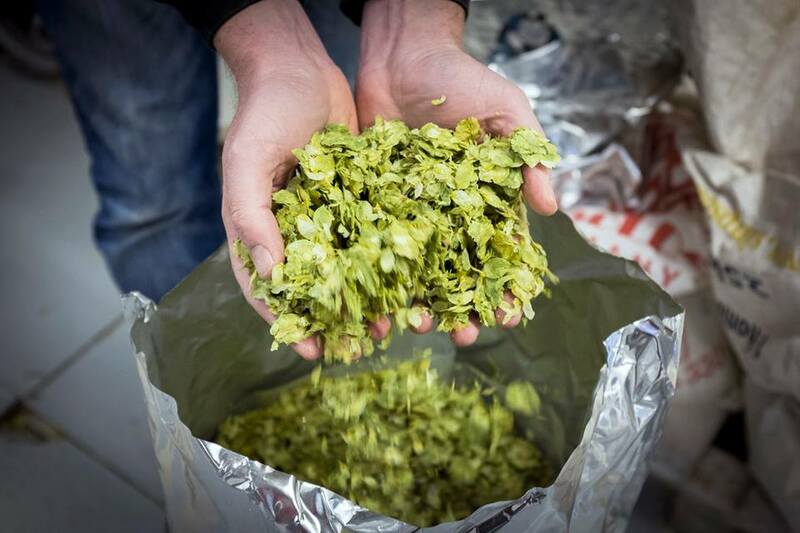 MM: All good beer stories have a beginning, so when, why and how did you realise that you wanted to become a brewer? What led you down the path to Ilkley Brewery? Luke: The brewery was founded by a group of locals who organised a beer festival and fell in love with the industry. It was small, rural, and traditional. This quickly grew into something a little bigger, attracting other passionate people to add skill and direction. We now employ 18 people! MM: Did you take the “traditional” brewers route and work for another brewery before deciding to strike out on your own, or do you come from a home brewing background? Luke: No, originally the brewers were relatively self-taught. In the first year, back in 2009 we won a National Gold medal for Mary Jane, and as well as being nice to get, it showed us what we were doing right – the DNA of that beer runs deep through everything we brew to this day. In 2013 we brought in a technical brewer to improve standards and take us to the next level, which she did and the result is, in our minds at least, some of the most balanced and consistent brews around. 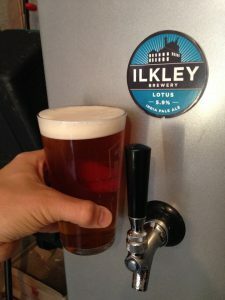 MM: So, when did Ilkley Brewery become a reality and what made you want to start your own brewery? Luke: So having kicked off in 2009, it wasn’t until 2011 when a little extra investment enabled us to move to a new site capable of keeping up with demand. Since that day, when we more than doubled capacity from 1000BBL per year to nearly 2000BBL, we haven’t looked back or slowed down since, now producing over 7000BBL each year. MM: Do you approach the business from a craft beer perspective, that is, one of dedication to, and love of, the brewing process. So, how do you envision the role of Ilkley Brewery within the world of beer? Luke: Absolutely – that is where it all has to begin. We’re making an emotive product here that is designed to bring happiness – it’s no good if we simply see it as a product. That said, commercial instinct and organisation are so very important. I think lots of breweries follow the same pattern – born out of enthusiasm and love for beer more than a commercial instinct, and success can bring quite a shock. We have always applied sound financial control, and strategic thinking to our growth and development, ensuring that quality comes first, but also that we’re able to deliver our promises. Having fun is also important to us, and making sure our team are happy in their job is key for us – happy brewers = happy beer! This is why we’re proud to be a Living Wage Employer (and have lots of staff parties!). MM: What’s your take on the whole Craft Beer Revolution? 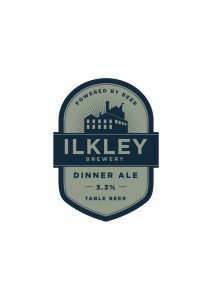 Did it inspire you and what you want Ilkley Brewery to be, in any way? Luke: Sure, and I think we have been part of it over the past 8 years. 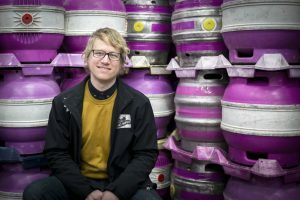 We had beer heroes setting up, most notably Thornbridge, and their consistent beer, technical approach and continued re-investment are still an inspiration to us. Personally, learning my “craft” in Australia, where keg rules and there’s no cask, it was fascinating being part of the early wave of keg in the UK as the market adapted to it. 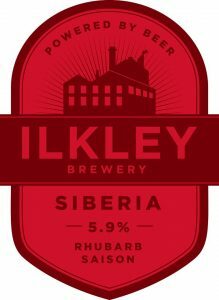 It was, and is still, an interesting transistion, especially for Ilkley as we have such a strong core of cask production. We remain true to that, and always will, making the best cask we can for these customers. 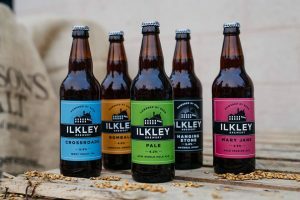 But we also want to satisfy the needs of other drinkers, and this means varying the package type, and brewing beers to suit each specifically. 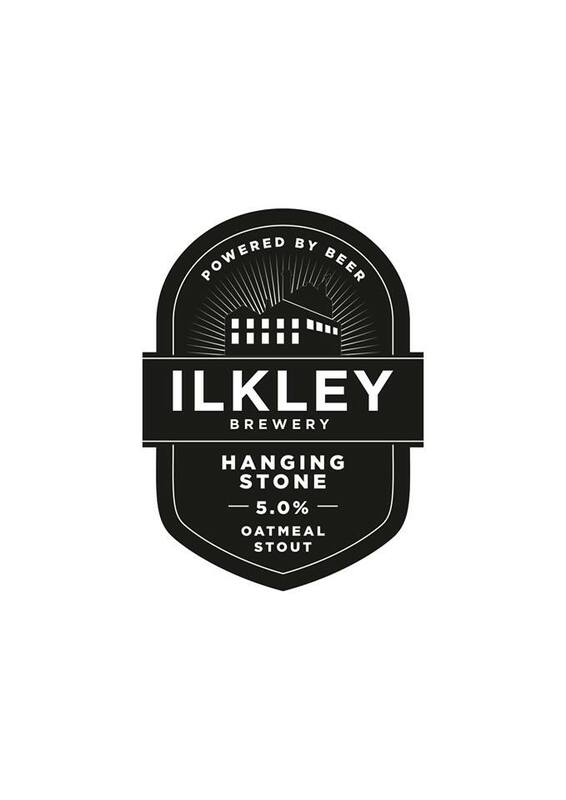 We hope that Ilkley is known for brewing high quality, flavoursome, hoppy beers, with no compromise. MM: Do you think that the “craft beer revolution” has made an impact on the mainstream and that there’s a perceptible shift away from the mass produced beers that have dominated the market for years to smaller, more local, artisan beers? Why? Luke: For sure – I think that the financial instability we’ve seen over the past decade or so has meant that people attach more value to what they consume and how they consume it. So they expect to get more value for their spend. This has in turn meant that producers and providers, in our industry brewers and bars/pubs, have had to up their game. I also think that provenance is more important than ever, and if people are going to buy a beer, be it sausages, eggs or beer, they want to know who made it, where it was grown, and ideally that the money they spend may go to a local or small business rather than a giant PLC. Look, the independent beer market still only accounts for 7% of beer in the UK. Yes I see that growing (it used to be 3% after all) but we’re still a drop in the ocean. It’s great that there are now over 2000 breweries in this country, where just 50 years ago there were 30, but let’s not forget that all this extra consumer choice comes at the risk of congestion. The good thing is that we’re all friends in this industry, and we’re all enjoying sharing our growing piece of this pie! 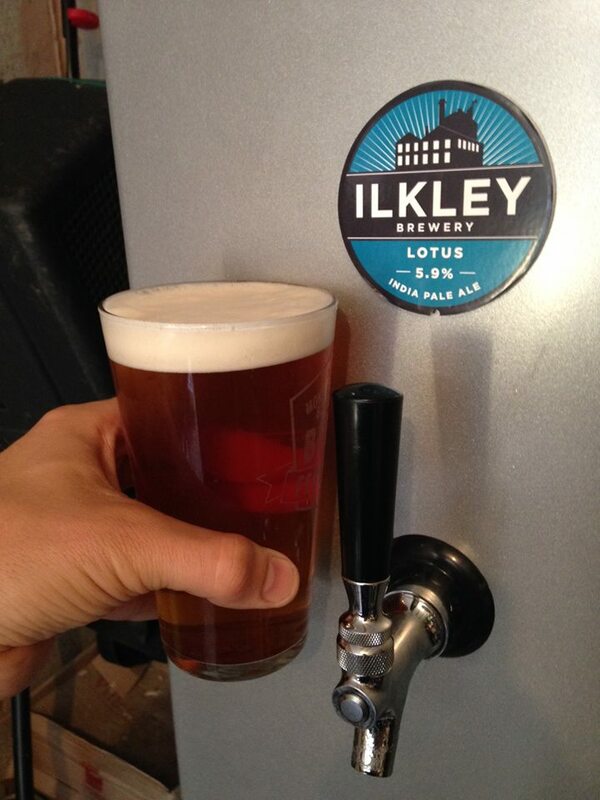 Luke: So, Mary Jane remains our most popular beer, in both cask and bottle. She’s light and sessionable, hoppy but gentle with you. 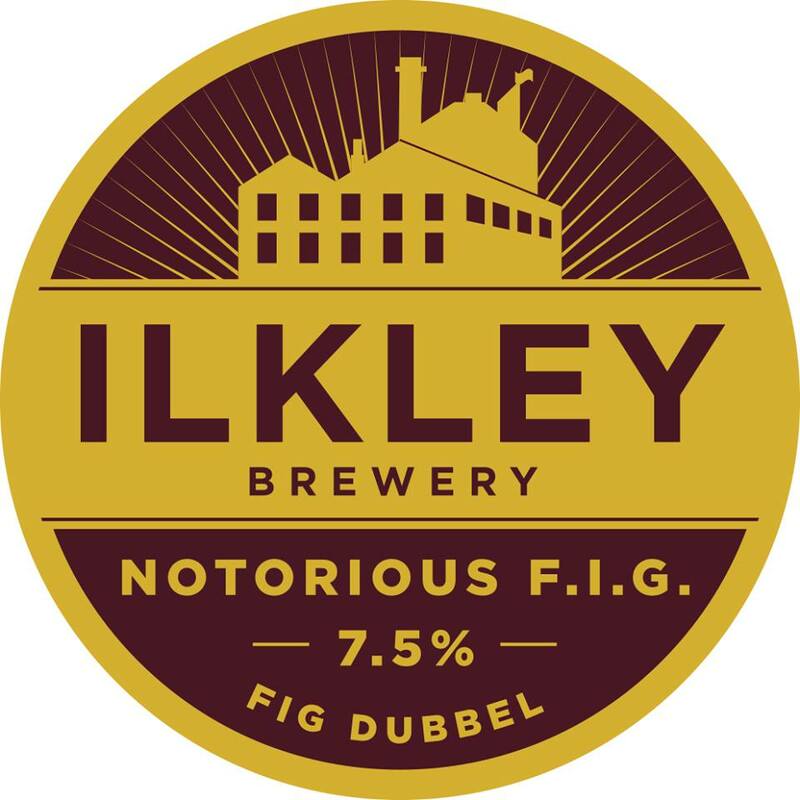 Named after a character for a Yorkshire anthem set in our fair town, Ont Ilkey Moor Bah t’at (On Ilkley Moor Without Your Hat), this is a beer with character and with a story. It’s no surprise that it’s our most decorated beer. We also have Alpha Beta heading up the keg and can section of the brewery. High in flavour but low in abv, it’s another sessionable beer, although this time with about twice the hop count of Mary, for that distinctly American bitter feel. 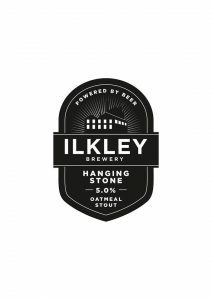 But we’ve brewed over 120 beers in the past 8 years, and so have equally made our name for pushing the envelope, with beers like The Mayan, our Chocolate and Chipotle Stout, Siberia our Rhubarb Saison, and our collaboration with Brewdog that resulted in Westwood, a white chocolate stout (that looks like a pale ale but tastes of milky bars!). MM: Which of your beers do you think, more than any other, embodies and personifies the Ilkley Brewery ethos? Why? 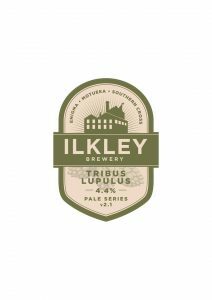 Luke: Ilkley Pale probably. Pale ales are ten-a-penny in the UK and beyond of course, but this New World Pale is one that people just can’t seem to get enough of. Anyone can throw hops in a beer, but the real skill is in the balance, and we sell this beer as the Sauvignon Blanc of the beer world. Fresh grassy NZ hops showing that beer can be a fresh and crisp and paired with food as well as any wine. This beer appeals to the hopheads and the real ale aficionados alike, as well as being delicate enough to bring in new drinkers to beer. MM: Do you think that you’re a “beer snob”? By that I mean, do you look for quality and dedication in the beer that you drink personally, or are you happy with the status quo that the big breweries have maintained for decades? Luke: I think it’s important to be a beer enthusiast not a beer snob. It’s all about taste, and this is personal to each person. It’s even subjective depending on mood, time of day and activity – what floats my boat today, may not in the future as my palate develops and changes, or even as and when I’m in a different setting or feeling differently. 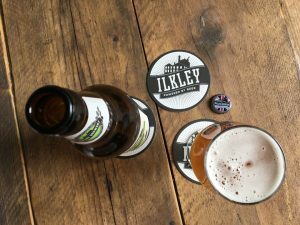 I always make sure I have a core of 6 or so go-to beers in my fridge, alongside specials, one-offs and more unusual beer styles that I can never seem to resist when I’m in my local bottle shop. 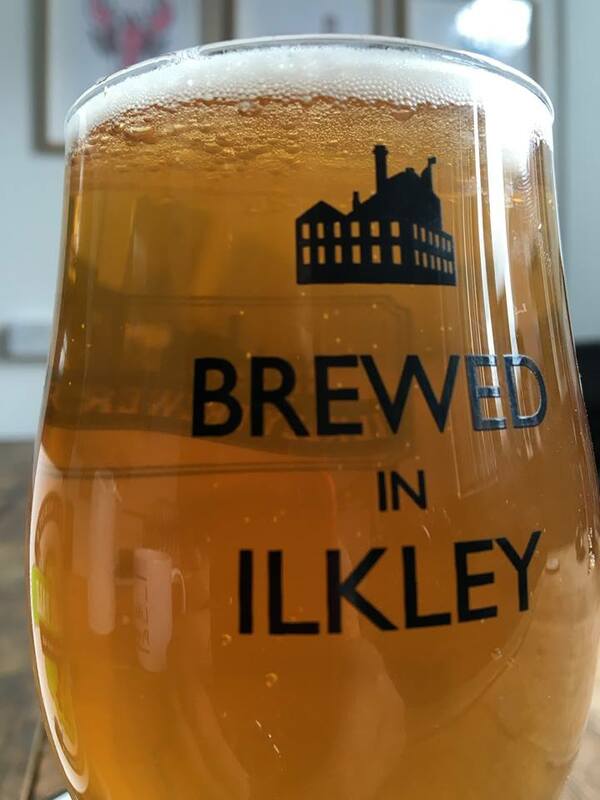 I’m not happy with the status quo (may they rest in peace), and whilst there may be a time and a place for mass-produced beer and me, whilst there is simply so much great independent beer around, that’s going to take up my energies and taste-buds for the foreseeable! 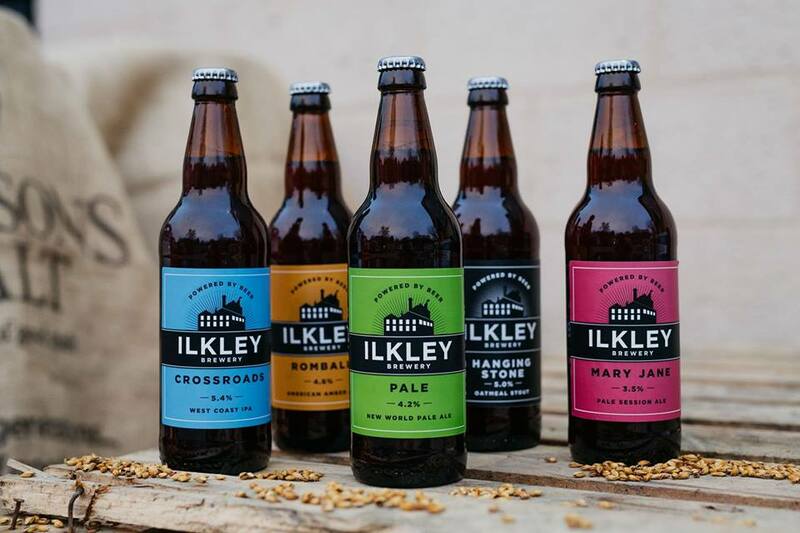 MM: And talking of breweries… What were the biggest difficulties that you encountered in setting up Ilkley Brewery? Was that whole process easier than you thought it would be, or much harder? Luke: Every day brings a new challenge. Variety is the spice of life, and having to adapt to an ever-changing landscape is both fun and difficult. The biggest challenge currently, apart from the financial pressures and price-rises we’re facing after Brexit, is that of satisfying demand. We’re at maximum capacity on our current site, and need to plan the next stage of growth carefully against the backdrop of so much local competition. That will inevitably mean a short-term focus on improving our export volumes, and developing areas across the UK to supplement our strength regionally. It’s a brave new world, but I’m confident that with the investment we have made over the past 18 months internally in terms of production and packaging standards, coupled with our continued desire, a focus on marketing that has seen new branding launched to appeal to a wider market, we’re well placed to continue our growth. MM: I have to ask… From a purely personal point of view, what are your five favourite beers? Why? Luke: Really hard to limit to just 5, but got to include a couple of go-to’s… Sputnik from my friends at North Brewing – it’s got that balance of flavour just right, and I could drink without tiring. ITI from Hawkshead is almost always in my fridge too – I’m so impressed Matt can get so much hop kick from such a low abv whilst remaining so drinkable. Axe Edge from Buxton really floats my boat, although I don’t keep it in my fridge as my wife always steals it! I’m never disappointed by Buxton beers, they’re killing it. I have to include our own Lotus in cans – I just can’t get enough of it at the moment, and even with my bias think it goes toe-to-toe with other bold American IPA out there at the moment. My luxury beer would probably have to be KBS from Founders. The Bourbon from the barrels it’s aged in isn’t too ridiculously overpowering, but it’s there in warmth and really adds to the beer. 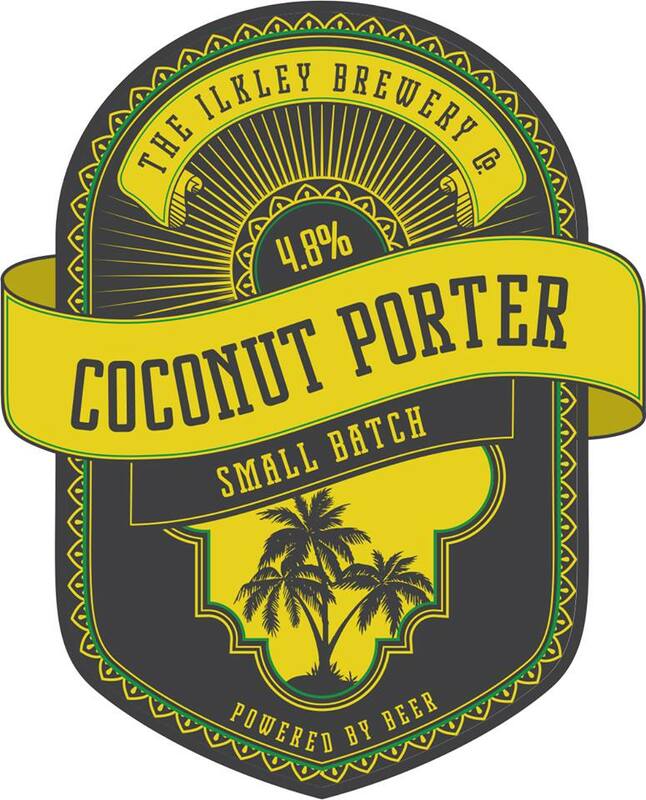 I could smell this beer for hours before even taking a sip – one to be savoured for sure. MM: In your opinion what makes a good beer? What do you look for in a beer? Luke: In a word; balance. 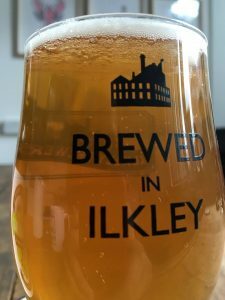 It’s all very well having a big bold flavour, and box-ticker beers have their place, but I look and judge beers we make and beers I drink by whether or not I’d drink them again… and then again and again. Even if it’s a complex and strong beer, there’s no reason to compromise on drinkability. MM: If there’s anything that you’d like to add, speak now or forever hold your peace? Luke: Ask me to talk about beer without a few hours to spare at your peril. Seriously though – it’s great to be a part of this great industry. We could be making pencils, and don’t get me wrong; I think pencils are great, but it’s great that we’re making beer. 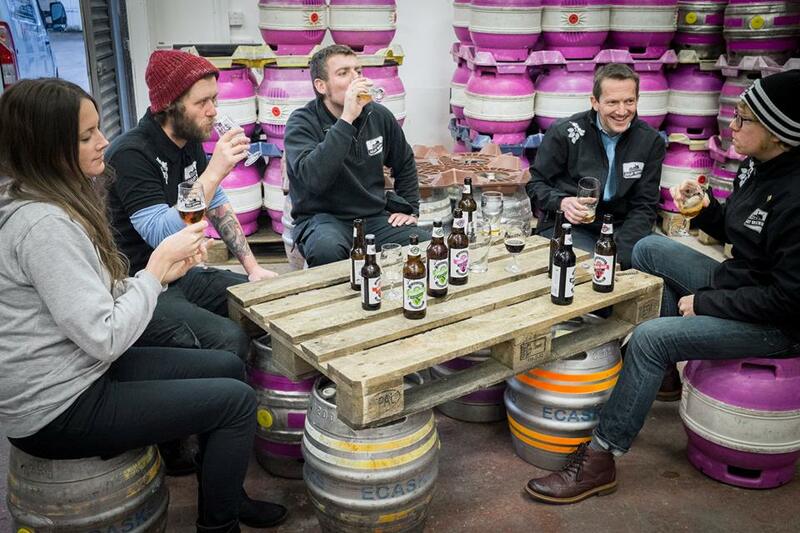 To see people drinking our beers, or have people asking questions and talking about our beers is just brilliant. It was and is brilliant when it’s local, but it’s just as awesome to see them abroad, We’re really looking forward to representing at the Barcelona Beer Festival at the end of March, and just this morning I got one message from someone who’d enjoyed our beers in Hong Kong, and another asking when we’re next sending a batch of Mayan to Canada. 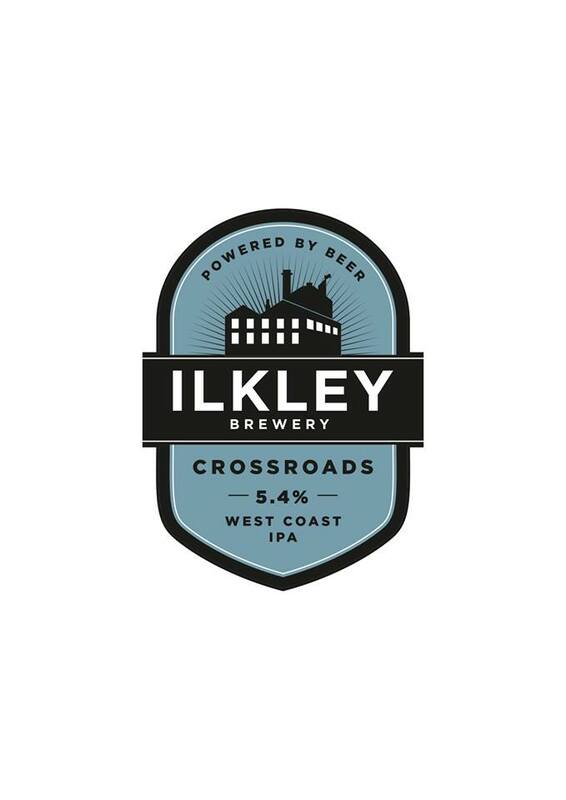 Personally I’m blessed to be able to call Ilkley my home, and to be able to be so proud of such a good group of friends who I share my time with, making great beer. It’s a hard life, but someone’s got to do it right?